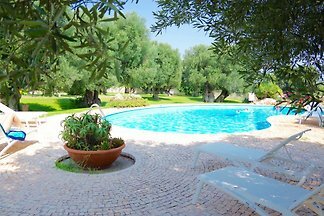 Holiday home for up to 7 people in Puglia near Ostuni, sandy beaches in 10min. 3 bedrooms, 3 bathrooms, verandas and large private garden. 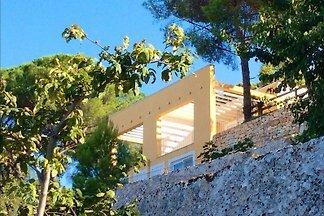 For rent holiday house with pool and space for up to 6 people. 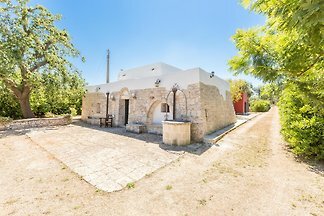 The object is located in San Vito dei Normanni, 10 minutes from the sandy beaches. Pets Allowed. 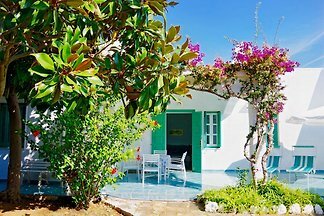 Typical Apulian house near sea for rent in Carovigno near Ostuni. 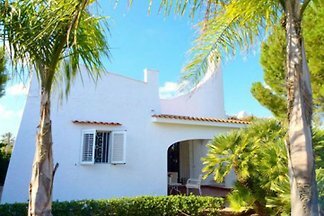 Ideal for family or groups thanks to the presence of 2 villas with separate entrances. 5 minutes from the beaches. 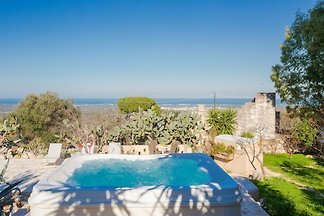 The beautiful home is idyllically situated on a rock, just a few minutes v. Ostuni Historical Center. 2 private terraces, a fantastist. Panorama u. Community Pool verprechen Relax! 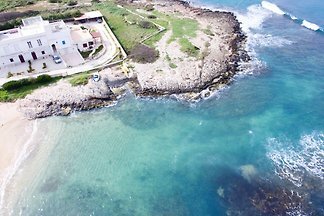 This villa in a prime location only 20m from the sea in Puglia for rent. Can comfortably accommodate up to 6 people. 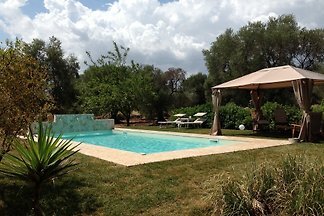 Villa with private pool for rent in Apulia near to Ostuni. Accommodates 6 people. Relax in the private, fenced garden with pool and children's playground. 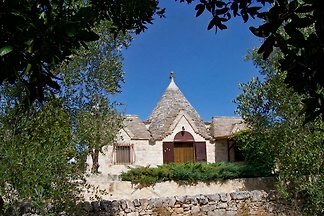 For rent trullo near the sea. 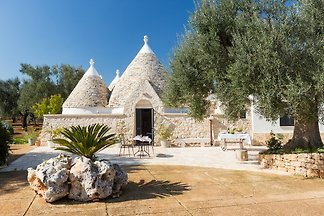 Enjoy 5 beds, the intimacy of the trullo, 2 verandas. 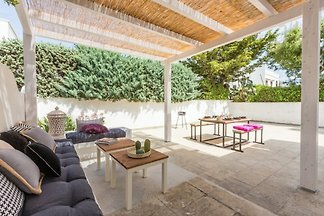 Take advantage of the proximity to Ostuni, Brindisi airport and beaches. 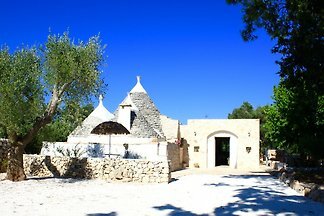 Trulli for rent in Apulia near Ostuni 15min from the sea. Accommodates 2 - 7 people in 2 bedrooms and a soft room. Quiet location. Terrazza sul mare - the name really does not promise too much. The charming apartment. 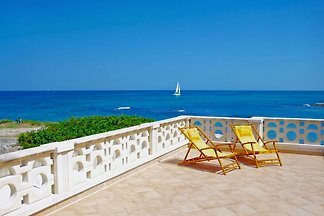 with magnificent sea view terrace is located on a small. Promontory facing the crystal clear sea. The villa is far from the sea immersed in the beautiful green landscape. 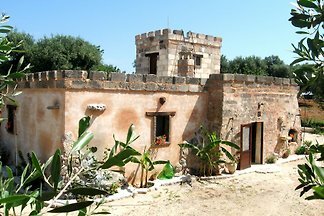 It is surrounded by centuries-old olive trees and lush oleanders. Community Pool. Dream House in San Vito dei Normanni, the sea reached in 10min. 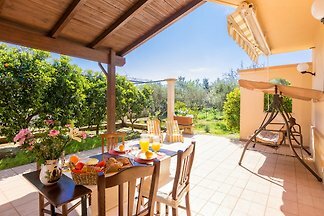 Enjoy your holidays with 2 bedrooms, up to 5 beds, and a beautiful garden with fruit trees! 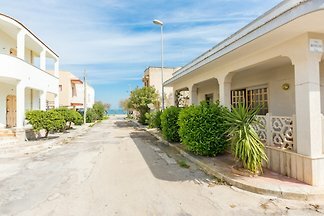 Holiday house for rent in Puglia in Torre Santa Sabina in a prime location. Accommodates up to 5 people and is located just 500 meters from the sandy beach. The freundl. 3 room apartment. 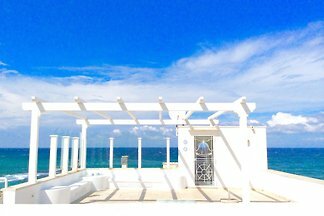 located directly on the crystal clear sea of ​​Ostuni. Ideal for families with children. The domicile surprised with some interessting. Extras. 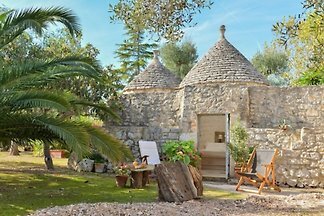 from 5 27 holiday homes & accommodations in Brindisi & surrounding area were rated with an average of 4.9 out of 5 stars ! 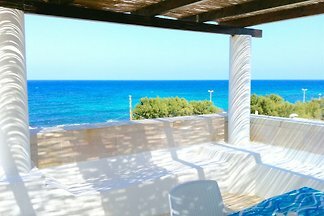 Rent successfully your holiday flat or holiday home in Brindisi & surrounding area in only 20 minutes !